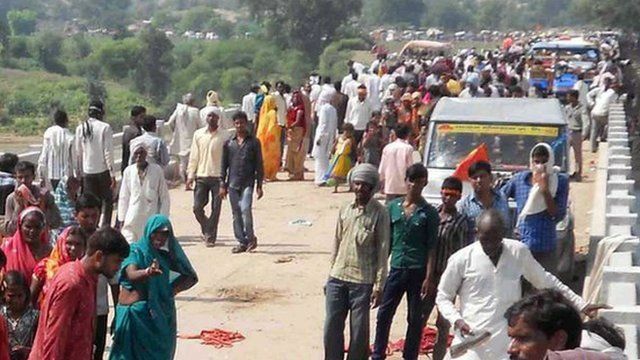 More than 60 pilgrims have been killed and 100 injured in a stampede near a temple in Madhya Pradesh state in central India, police say. Eyewitness Atul Chaudhary said he heard shouting and saw people jump into the river. "When after five or ten minutes things quietened down, we could only see bodies on the bridge," he told the BBC.